So PWB Nicaragua has begun! For me everything started on Wed 9th January when I finished packing up my home, life and business and said some teary goodbyes before jumping on a sleeper train from Glasgow to London. The next morning I wrestled my large bags of stilts and circus kit through the London underground (if you ever find yourself in a similar situation, just get a taxi!) where I met the PWB Nicaragua team for the first time. The project coordinator Rob Thorburn I know very well as we work together a lot, but the rest of the team were new to me except from excited Facebook chats and plans over the last few months… however we soon bonded by throwing lots of circus toys around Heathrow, much to the amusement of our fellow travelers. We then flew to Toronto, Houston and eventually arrived into Managua on Fri 11th Jan where we met the wonderful Rigo who has been invaluable in helping set up PWB Nicaragua and who’s guest house would be our home for bootcamp. So I’m not sure what I expected from bootcamp, but it was hard work! 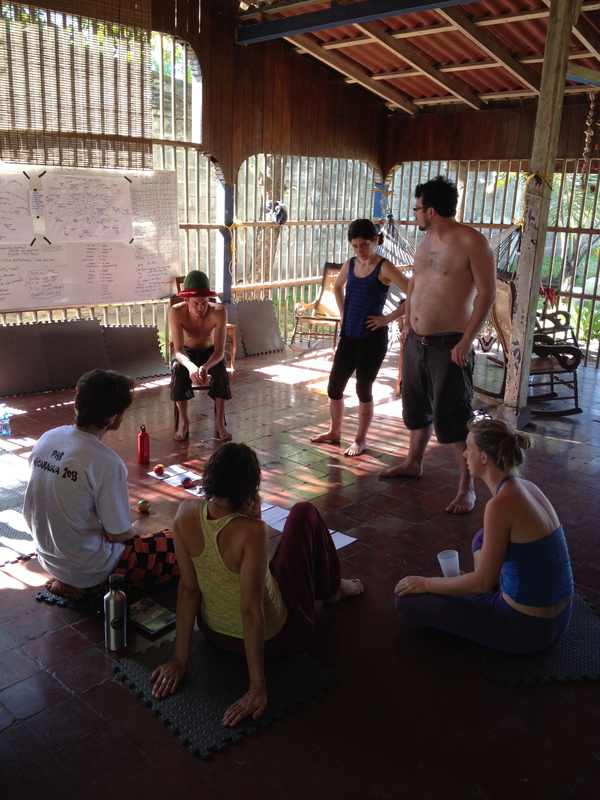 We jumped straight in to 6am starts to begin making the circus show, building kit, planning curriculums, as well as getting to know each other, the country and adapting to the bugs and the heat (approximately 35 degrees warmer than the night I left Glasgow!) and usually we finished up late at night. All that being said though it was an amazing week, the team we have for the project are all very experienced as performers and teachers and the technical level of the group as a whole is very high, so it’s easy to trust the ability of everyone and we have a huge resource of skills to draw from. After a week of bootcamping we had a show (woo hoo!) 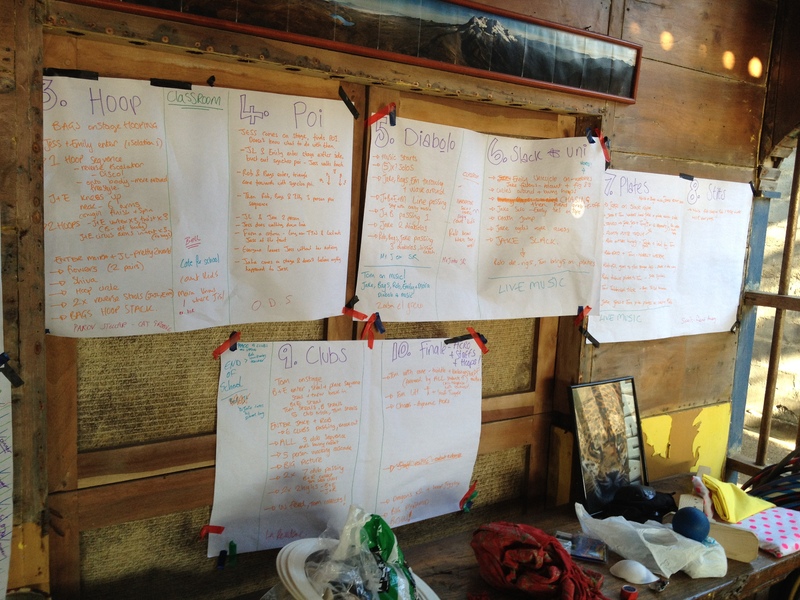 containing all of the things we’re going to be teaching on the project… juggling, hoop, poi, staff, acro, diabolo, slack rope, unicycle, plates, acrobatic stilts and a healthy dose of clowning. It’s a very fun show. By the end of the week we’d come together as a team, supported each other in the aftermath of some vicious mozzy attacks (scratching is banned) and had our first experience of the local culture in Léon. Though for me the local culture mostly consisted of trips to hardware stores in search of elusive bolts, drills and gaffer tape. You’d be amazed the simple things that we take access to for granted in the UK and how difficult it is to explain subtle differences between various screws and washers with dubious Spanish language skills! So with the show ready and bootcamp finished we’re all looking forward to starting the project properly and the next stop is La Escuela de Comedia y Mimo (The school of Clowning and Mime) in Granada where we’ll be performing and teaching at El Berrinch Ambiental Street Theatre Festival. Very excited. Performers Without Borders India 2013Amazing India Blog 1. 3 January 2013: I took the plane from Amsterdam to London to Mumbai. I was excited and slightly nervous. What to expect and what to pack for this journey I have heard so many incredible stories about. With the organisation Performers Without Borders I will go to teach vulnerable children circus and dance in poor areas in India. Our vision is that teaching children performing arts will help them develop physical skills, creativity, working together, trusting people, learning other cultures, self-confidence and mainly to have fun in training and performing circus and dance. 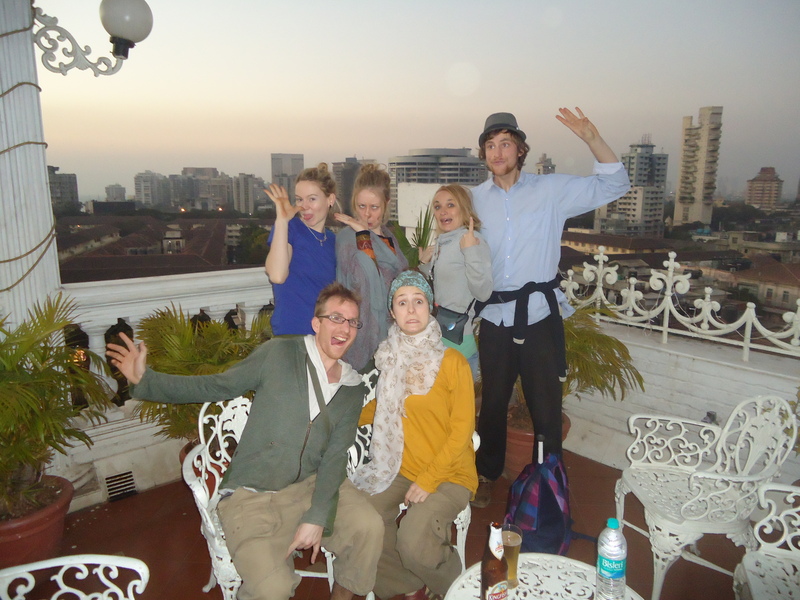 So I (Anke from Holland) arrived 4-1-2013 in a sunny Mumbai. Being picked up by Andy (Teamleader). Wow, what an impact that first journey had on me; Cows on the street, cars and motorbikes everywhere, hot, people living on the street and just many people staring at me like I was staring at them and their world. Livy (sweetest team assistant ever) was already in the Hotel. She and Andy arrived 2 days before. Chez, Abi and Simon arrived in the night after me. This makes the team to a complete of 6. Paul arrived a bit later and then to complete the team Carlos arrived 1 week later. So 8 individuals ready for their adventure in India! We had 2 days to explore Mumbai and to get used to the Indian way of living. On my first lunch I had my first meeting with an Indian Chilli, wauwheee hot hot hot! Just as the temperature, about 33 degrees in the day time. This is their winter and we were shocked to read that this was the coldest winter day since 10 years. All the time, we are melting away and wandering through the streets of Mumbai with a main goal of finding a place to eat and trying to protect Simon from getting his ears cleaned on the street. The people are very consistent on selling you something you really don’t want or need. 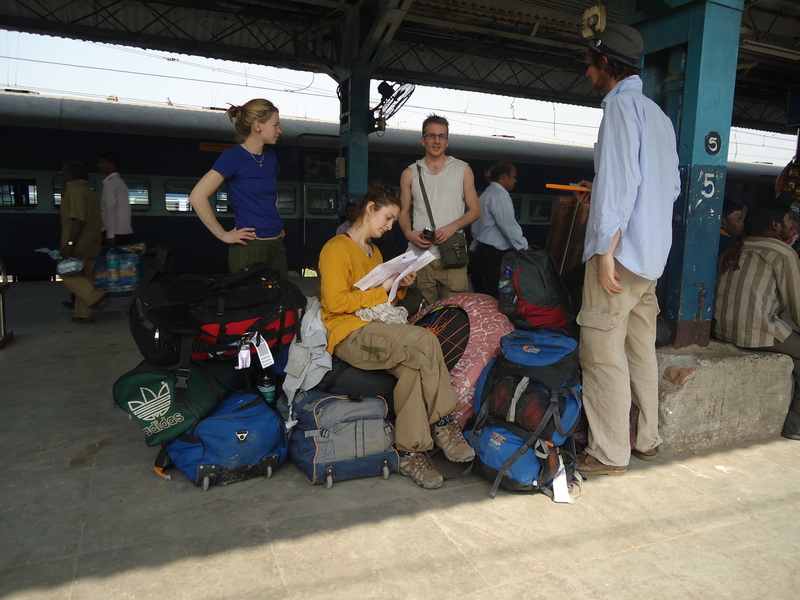 6 January we took the train to Gokarna. That was quite a good experience. Except that the taxi drivers think we have ‘too much luggage’ (Simon likes to repeat this phrase over and over again in his best Indian accent LoL). We had about a 1000 stops and every stop we quickly had to find something to smell because the toilet smell on the stations is impossible to bear. I found myself smelling peanuts, deodorant, cookies and just everything is better than that intense smell. We arrived in the middle of the night, with only 1 hour of delay. We had practiced how to get our 200KG of luggage off in the 1 minute stop and we managed with no seconds to spare. Again, the taxi fun banter ‘tooooo much luggage’!! There started my first rikshaw experience, hahahaha, just like being in a roller-coaster in the night over roads that look like moon landscape. 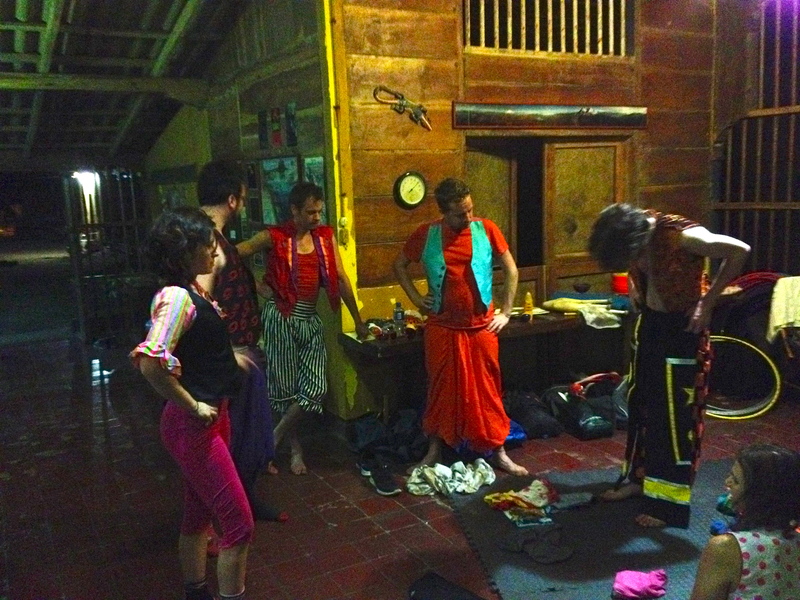 After carrying our entire kit down the hill we slept outside the yoga farm for some hours: What a night…. What an experience. But we forgot all about it when we walked to the beach and sea….. the Arabian sea and palm trees definitely make it worth it! 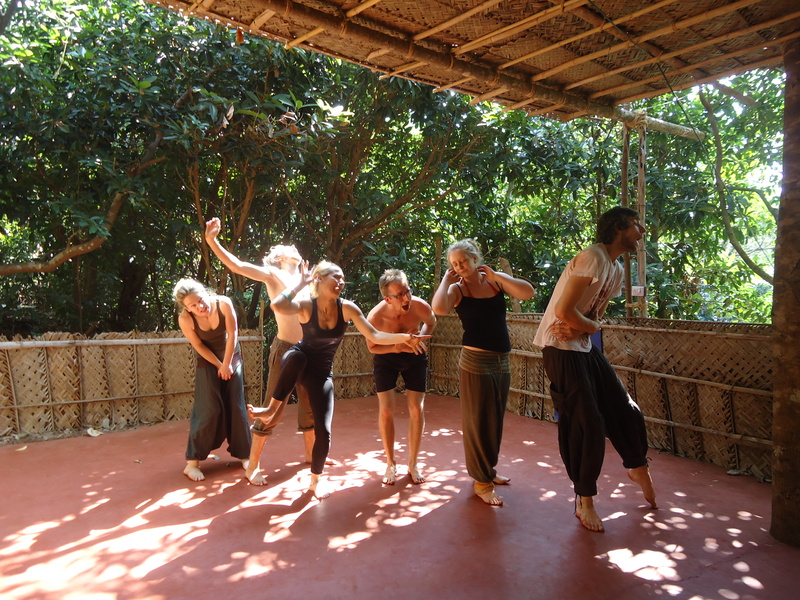 In the yoga farm we have 1 little house and 1 bamboo hut. Some sleep outside, some in the hut and I sleep with Chez in our princess bed on the first floor. We took 1 day to relax and get to know the place. Beach, restaurants, toilets, animals and most of all the different noises you hear all night. Animals we have seen so far: holy cows who just walk with us in the streets and chillax with us on the beach, dogs and cats everywhere, geckos as living wallpaper, rats on the train track, chipmunk’s keeping us awake all night, cobra snake in a basket, a praying mantas crashing in to Andy (no he didn’t scream like a girls at all 😉 ) and the best are the monkeys everywhere around us. Today the monkeys got so curious with our loud training that they came to have a look. The just sat down in the trees around us and looked at us. One even wanted to join us by letting us hear his big scream. So cool!!! We work every day now to prepare our show. 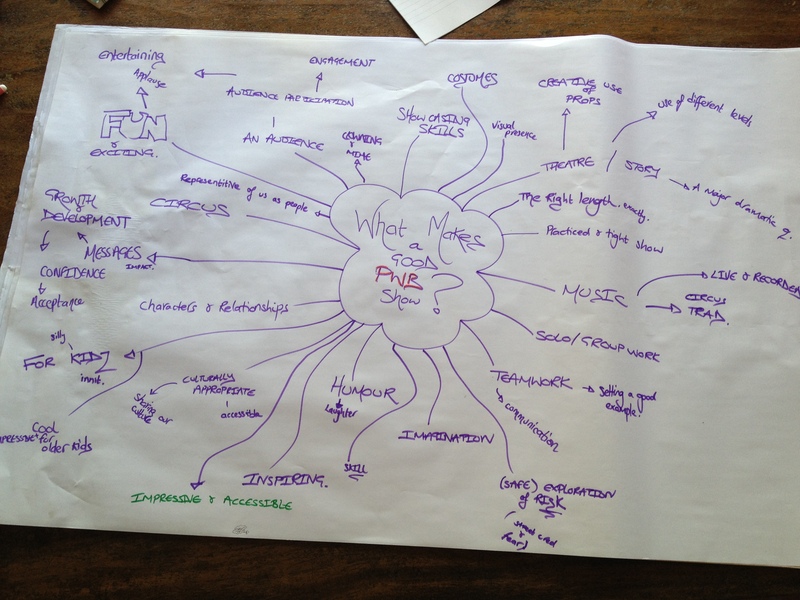 We teach each other skills, give workshops, play the games we will play with the kids and working on our performance. The theme of the performance is a day at school. At the moment we are improvising and exploring a lot with this theme. 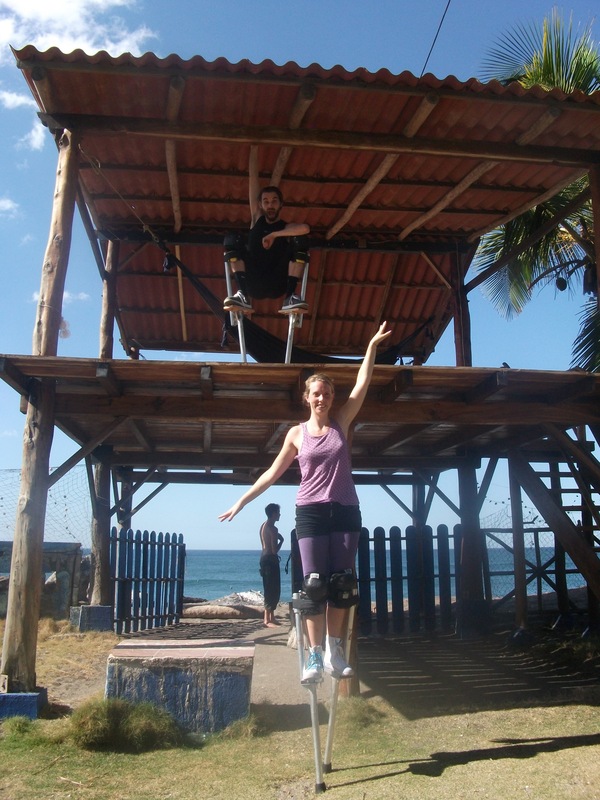 It is great to have Chez with us who has a lot of experience with street theatre and she guides us with many fun and functional exercises. Abi keeps us fit with her work outs, it is great base for all our skills! Today I teached a dance workshop and was happy that everybody enjoyed and gave so much energy! The team is great, enthusiastic, energetic and so many different talents together under the great guidance of Andy!! I am sure we will succeed in the mission to share our passion for circus with everyone we meet! Also, I think all of us will be able to fill our backpacks with a lot of fun, circus and life experience. I can go on writing forever about what happened and what we have seen…… this week feels like a month worth of new experiences!! Follow this blog to read more about our project and the adventures we have as we travel through amazing India! and then there was 6…. You are currently browsing the Performers Without Borders blog archives for January, 2013.